SkoolBo is an online tool that children can work on and seem to really love. 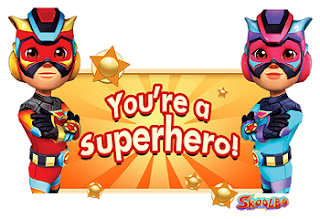 They can challenge other players and earn points for the answers they correctly answer. We are new to SkoolBo so have not yet discovered all that it can do. We do know though, that the activities and challenges are based on Literacy and Numeracy. In our first ClassBo Challenge, we earned way more points than expected. We set another two day challenge and have a goal of 5000 points. This challenge is still in process. 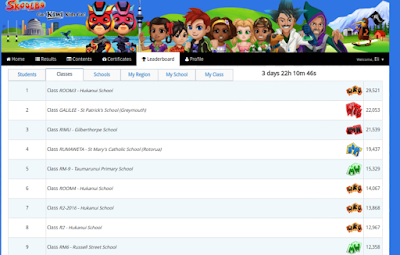 The students in Rimu can see where we as a school are on the leaderboard against other SkoolBo schools around New Zealand. Today, Eli saw that we were third so took a screenshot of the leaderboard and emailed it to Miss Waho. During the school day we were placing third. Later that evening, Emily was working on SkoolBo from home so emailed through another screenshot. Later that day, learner from home pushed us into second place. Hi Miss Waho cheeking out the blog here. I love using this tool online it helps me lots with my math I did not know my 11 times tables and know I know them all. Hi miss waho it's Eli. I seen the leader board another time we were 2nd on it I cant wait for the next class challenge. This is going to be great when the whole school does it I think we will be number one.I think we should definitely do this in class . I control c that Number 2 sorry .want do it again. 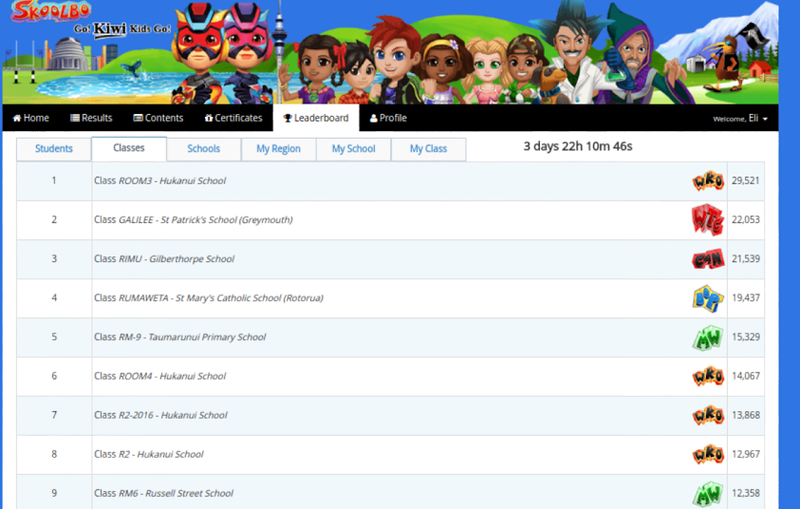 Hello Rimu Class its Tyler here. I'm just looking at this skoolBo blog because I want to know how good you are. I wonder when the other classes get to get skoolBo. Hello Miss Waho its Tyler here. Hello Rimu class this is Jake here. I'm just looking on this to see what place our school is. I think we should keep skoolbo because it helps us learn new words and some new math ecashines.